Tear the bread into pieces and put on a mixer and crumble it for under 30 seconds. Priya, Nice idea of using the stove top. I have just been crumbling old bread in the food processor. Yes priya...its cost consuming and can be prepared anytime at home. 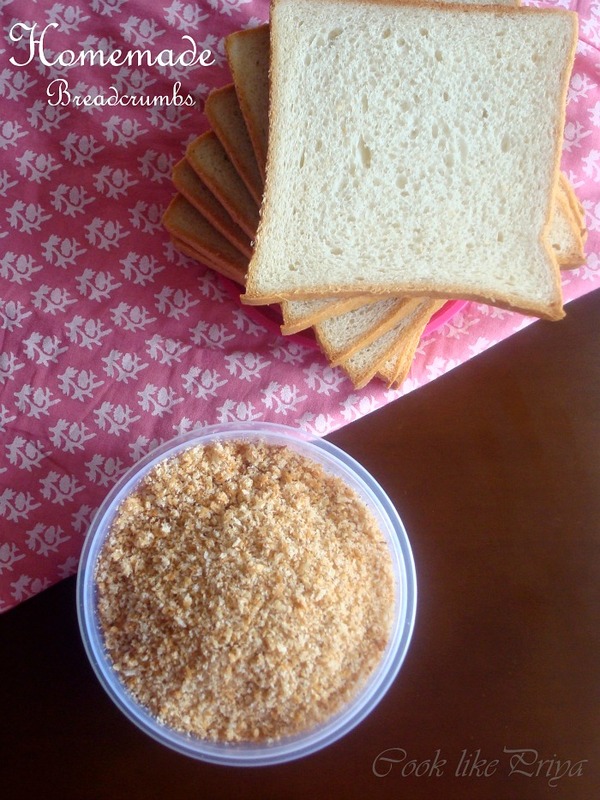 Very simple and good to eat breadcrumbs. wow very very useful post dear :) so very well explained !! nice to use stove top method, i always bake them in oven...lovely pics n presentation Priya! 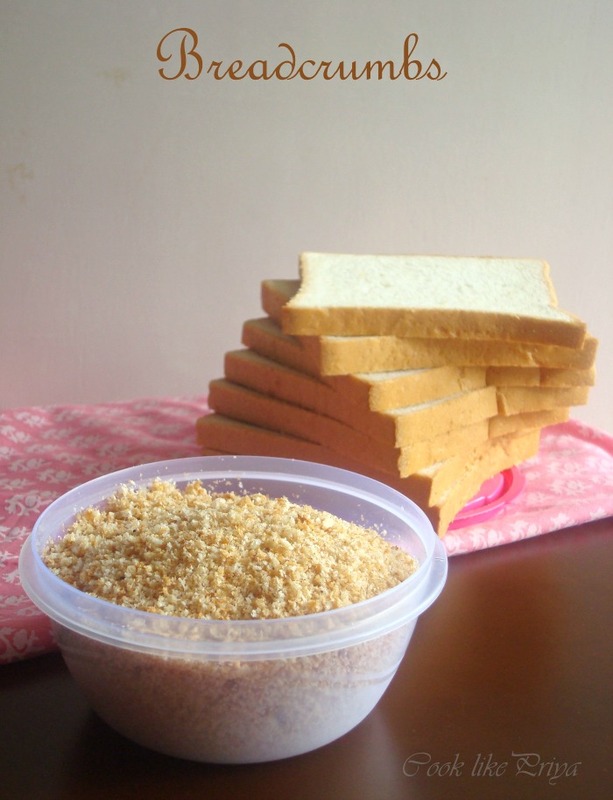 Wow..finally ur breadcrumbs recipes has saved my dinner today..thanx a zillion priya..